Need a fanciful dessert for your next family gathering? Look no further than using Little Debbie® Chocolate Cupcakes! Delectable Black Forest Cake is reinvented as each creme-filled cupcake is topped with whipped cream, maraschino cherries, and chocolate sprinkles. Great for a last-minute dinner party or for a fun family night! Try our delicious Black Forest Chocolate Cupcakes tonight! Unwrap each Chocolate Cupcake and arrange on serving dish. Using a pastry bag, top each cupcake with whipped topping. 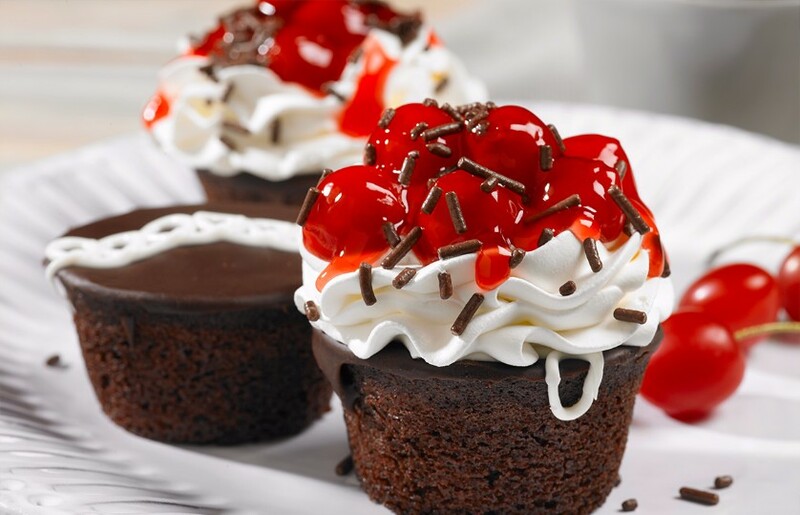 Drizzle cupcakes with a spoonful of cherries and chocolate candy sprinkles.